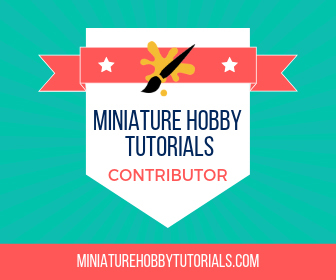 HomeMiniature HobbyRebel Grots Basilisk PIP: Playing with an airbrush! Rebel Grots Basilisk PIP: Playing with an airbrush! I’ve been slowly plugging through a Basilisk scratch-build for my Rebel Grots. I’ve recently finished the build (finally!) and have started painting. For years I’ve wanted to try my hand at airbrushing and a couple of weeks ago I finally took the plunge and picked one up. This vehicle is my first serious attempt with it. I primed this with my usual rust brown primer then used the airbrush to cover it in black, then a couple thin coats of green, and a very light dusting with a pale tan. I played around a little with picking out some of the details. The details didn’t work out fantastically but it wasn’t too bad for my first go. Overall I’m quite happy with the results. Even with the cleanup it’s the fastest and smoothest base coat I’ve put on a tank. I’m eager to see how it what I can do after some more practice. That looks awesome for a first attempt! I completely forgot you emailed me you had an airbrush and were practicing with it. Is it a dual-action? Thanks. Even if I don’t get into the advanced techniques it is worth the money just to easily breeze through my least favorite part of painting! I bought a cheap starter kit from TCPglobal that came with a compressor and three airbrushes. The one I’ve used is dual action gravity feed. There’s also a dual action siphon feed and a single action siphon feed that I haven’t tried yet.